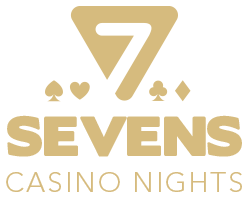 We at Sevens Casino Nights have been providing Fun Casino Entertainment for over 12 years now ! We are very proud to have so many testimonials/recommendations and a higher level of returning customers every year. The main reason for this is OUR CROUPIERS. We have a wonderfully loyal “squad” who entertain locally and without them no event would ever succeed. Many “events companies” and small Fun Casino companies are happy to supply croupiers with zero real casino experience and therefore lacking the skills,style and authentic dealing that makes Fun Casino Hire a really enjoyable experience. A casino background means the croupier can engage with chatter about their real experiences- a very important part of what we do. Many of our croupiers are still employed in the industry and keep our owner as well as our event guests “up to speed” with life in the industry these days. You wouldn`t hire an untrained magician or a cocktail barman without experience – especially for a big party/wedding/event with family,friends,colleagues to impress. A casino trained croupier with a happy chatty personality is a massive enhancement to any party- we have ones with cruise ship and other international experience to share. Add the staff to our authentic full sized tables and wheels/accessories + chips sourced from real casinos and you can be assured that Sevens Casino Nights really is bringing a true casino experience to your party/event.